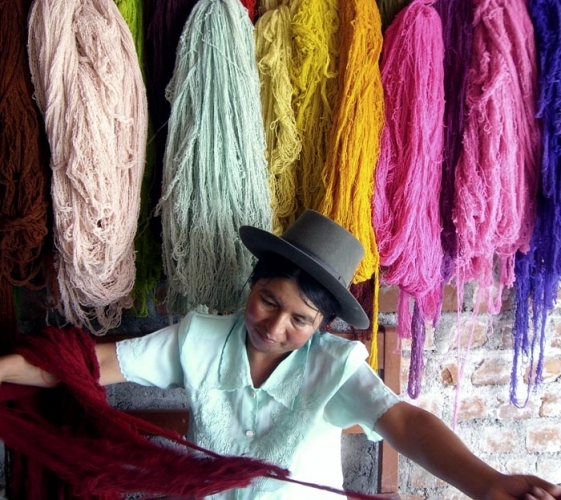 Vibrant South American colors that are traditionally crafted but contain a modern and functional twist are the threads that are weaving the beautiful tapestry of the annie O. fashion boutique. Better yet, many of the eye-catching, highly wearable items offered by this company are supplied by a small Peruvian co-op of women, many of whom are victims of domestic violence and have worked diligently to create their own financial independence, thanks to their collaboration with annie O. 's founder, Annie O. Waterman. The annie O. boutique has become a positive medium, whereby the old and tested consciousness of hand crafted quality is constructively married with a modern market, thus supporting conscious consumerism as well as sustainable business practices. 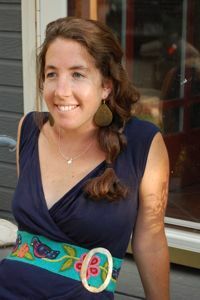 annie O. is a kind of merchant bridge, whereby the traditional artisan techniques of the past can easily travel the distance towards contemporary design and assure the women of Peru a platform whereby their creative and imaginative talents can be channeled to promote prosperity among both themselves and their communities. annie O. is proud to play a role in helping women overcome domestic violence, create their own financial stability and build the long-lasting relationships whose roots go farther than the superficial production of base products. The boutique offers beautiful, original accessories that enliven the spirit and whose colors transport one instantly to a diverse cultural past while still being trendy and chic. annie O. shows deep respect for both people and places and is tapping into the creative talents of a nearly forgotten past, re-purposing them in an effort to booster positive change in foreign countries and please modern day ethically-minded fashionistas. These efforts not only foster cultural vitality, but they help to relieve poverty, support education and liberate women who are affected by poverty and domestic abuse. The kind and friendly women of Peru caught annie O. 's eye with the vivacious colors of their embroidered textiles and immediately the brand began to develop a vision of bringing these irresistible goods to a broader market. 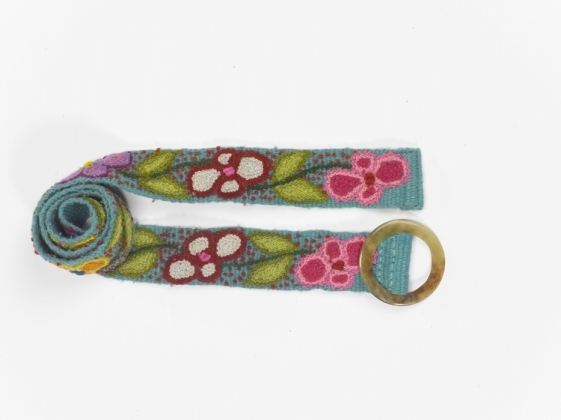 While initially focusing only on belts and table mats, innovative collaborative processes allowed the women to use the colors and designs so as to expand their offerings and reach a greater audience. For more information, visit Anni O. online.